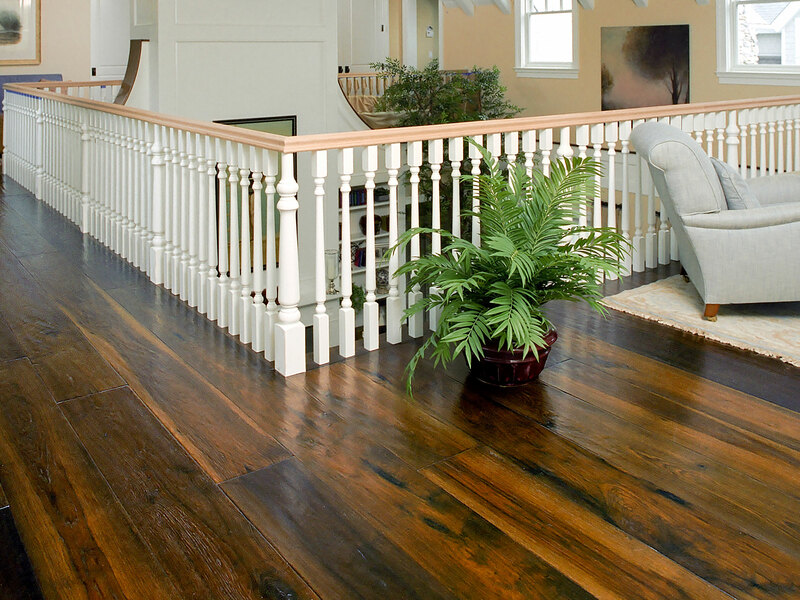 Bold characteristics and calico coloration command attention in any application. 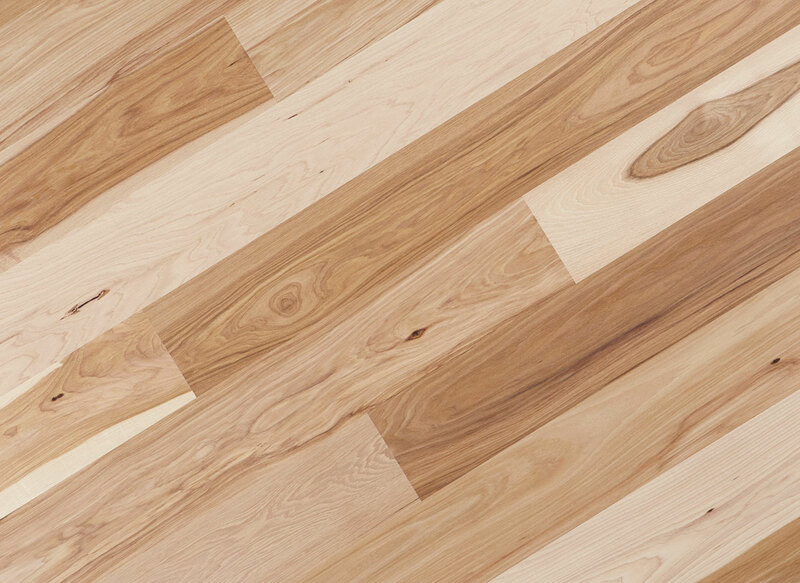 for plank flooring. 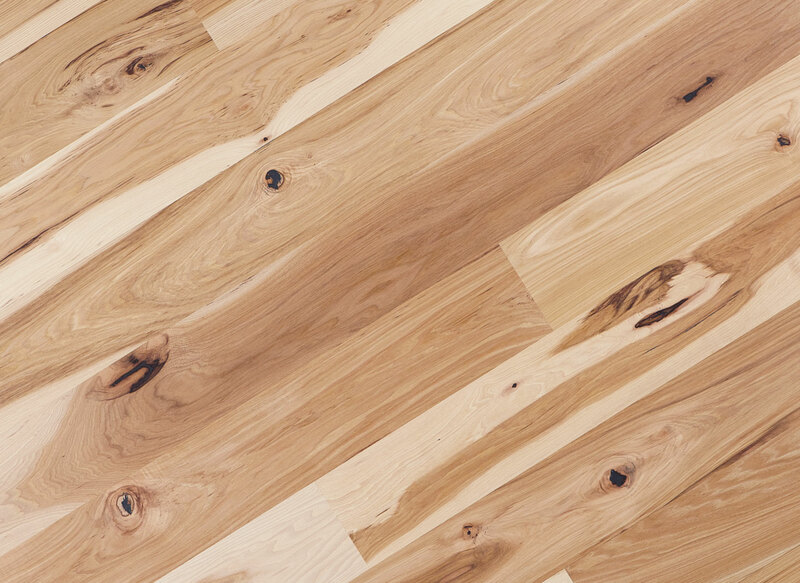 The high contrast between heartwood and sapwood creates a floor that commands attention in any environment. 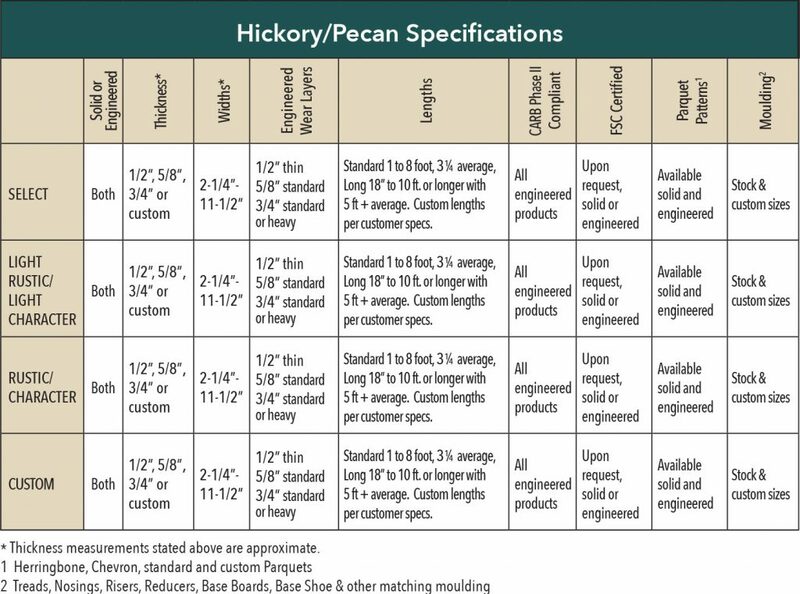 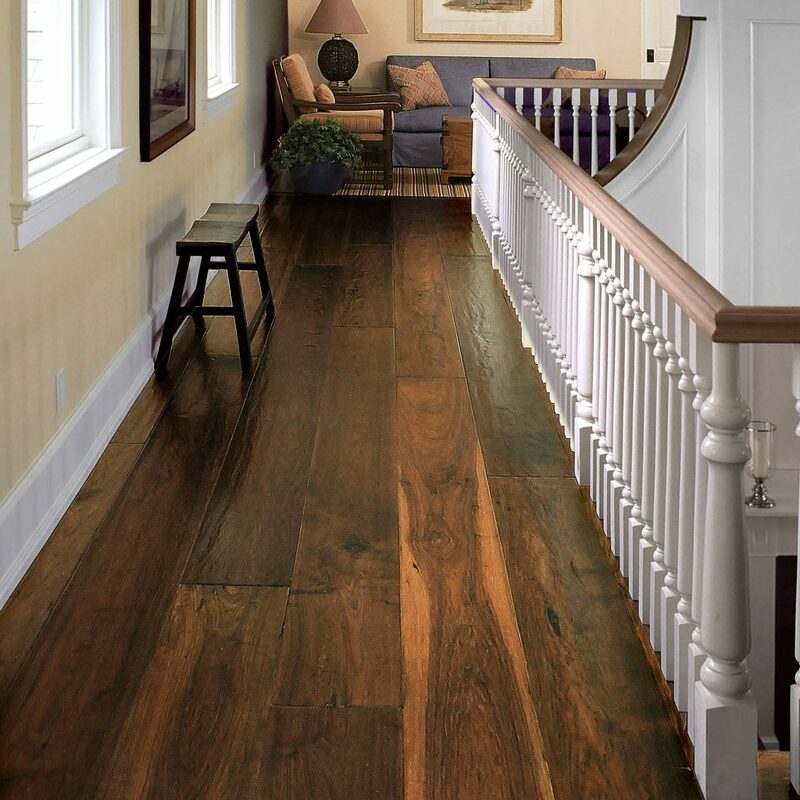 As the most characteristic hardwood floor available, Hickory/Pecan features inconsistent character marks, cathedrals, and grain patterns that make this hardwood so desirable. 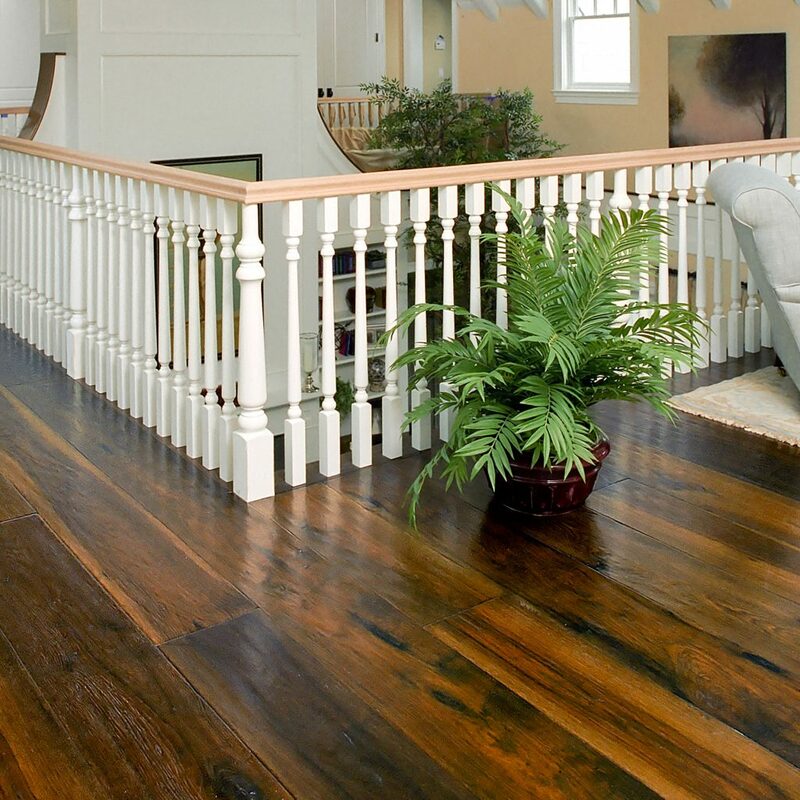 The calico colors range from white sapwood to dark reddish-brown heartwood and can be finished to enhance or subdue the natural, high-contrast coloring. 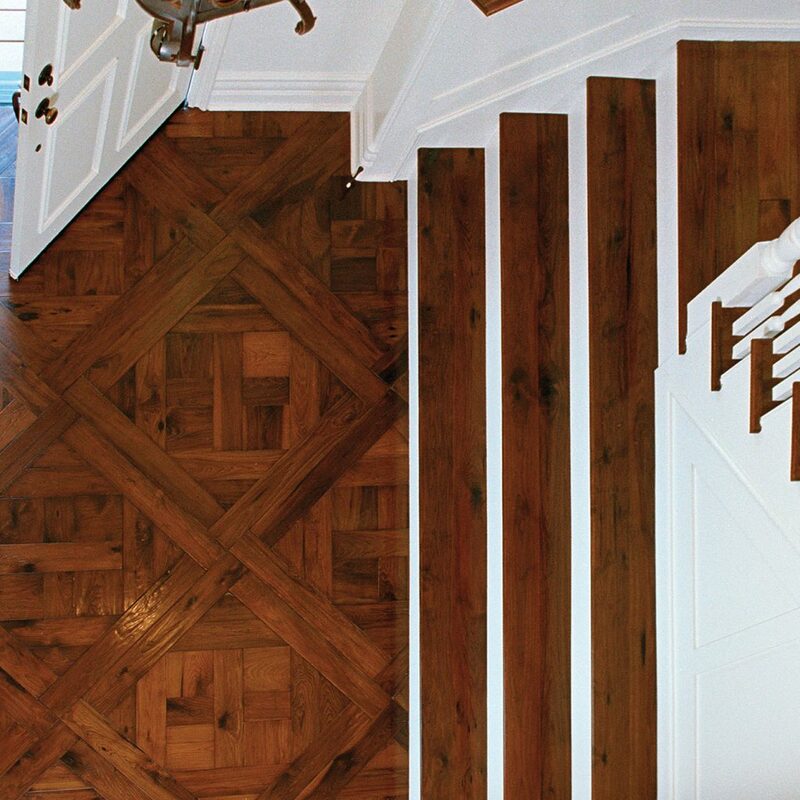 These characteristics make a bold statement, especially when a clear finish is used. 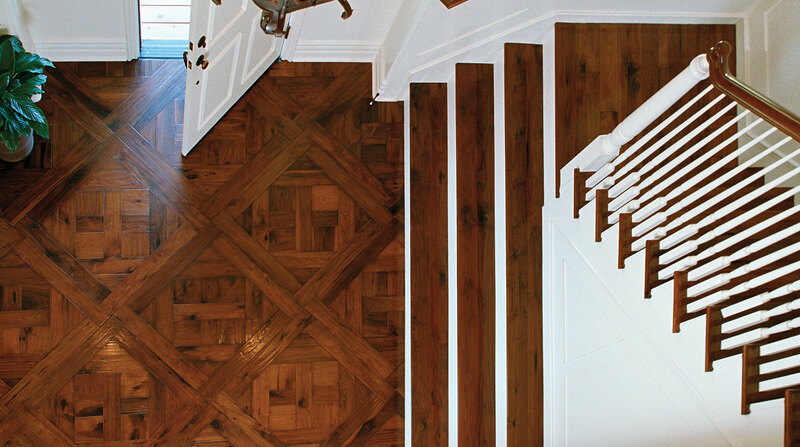 Apply a stain and the dramatically contrasting hues come through in a more subtle manner. 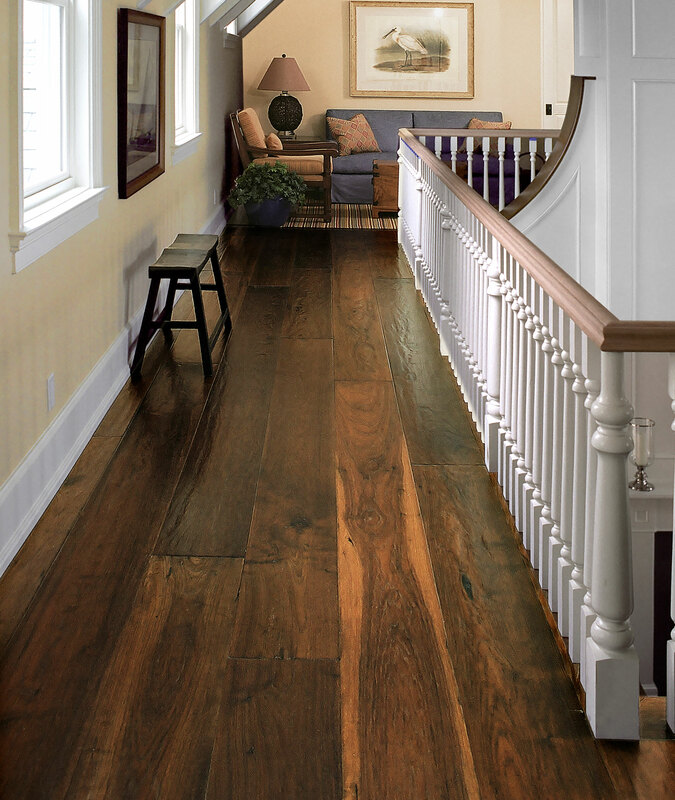 Considering its wide visual appeal, Hickory/Pecan is at home in either formal or informal styles. 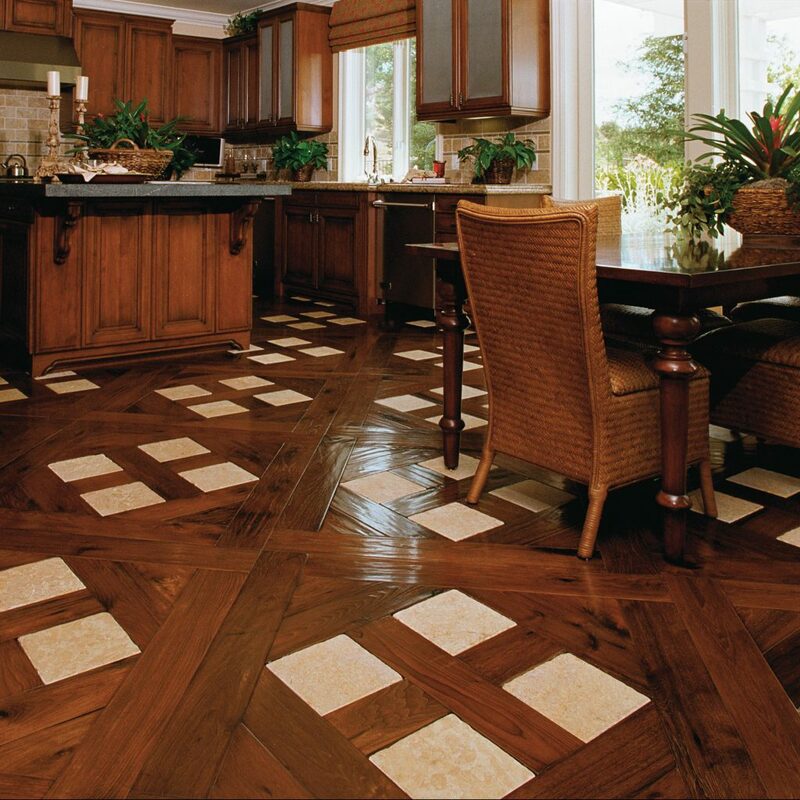 It is perfectly welcome in settings ranging from a beautiful mountain retreat to contemporary urban lofts. 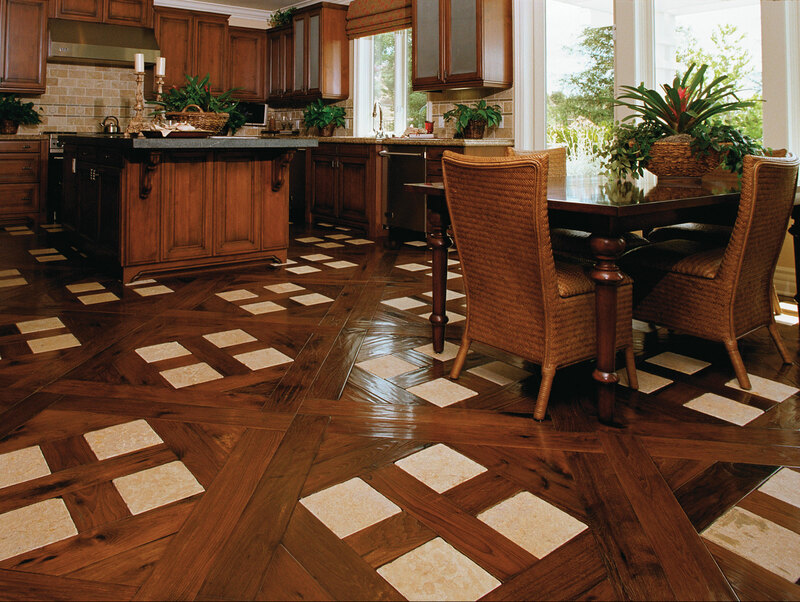 Hand distressed Hickory Pecan Constantine mosaic flooring with stone inlay. 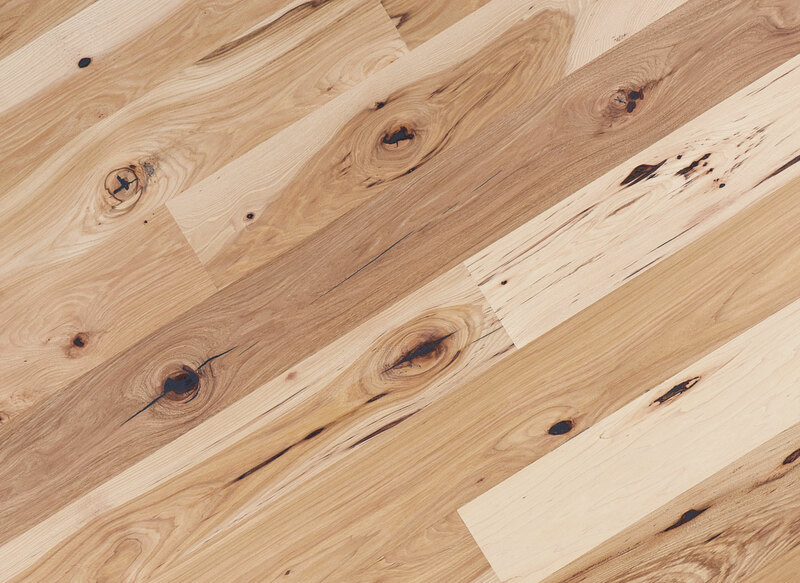 Custom heavy hand scraped Hickory Pecan plank flooring. 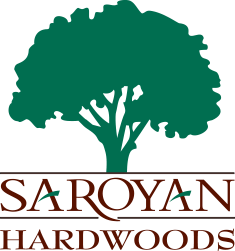 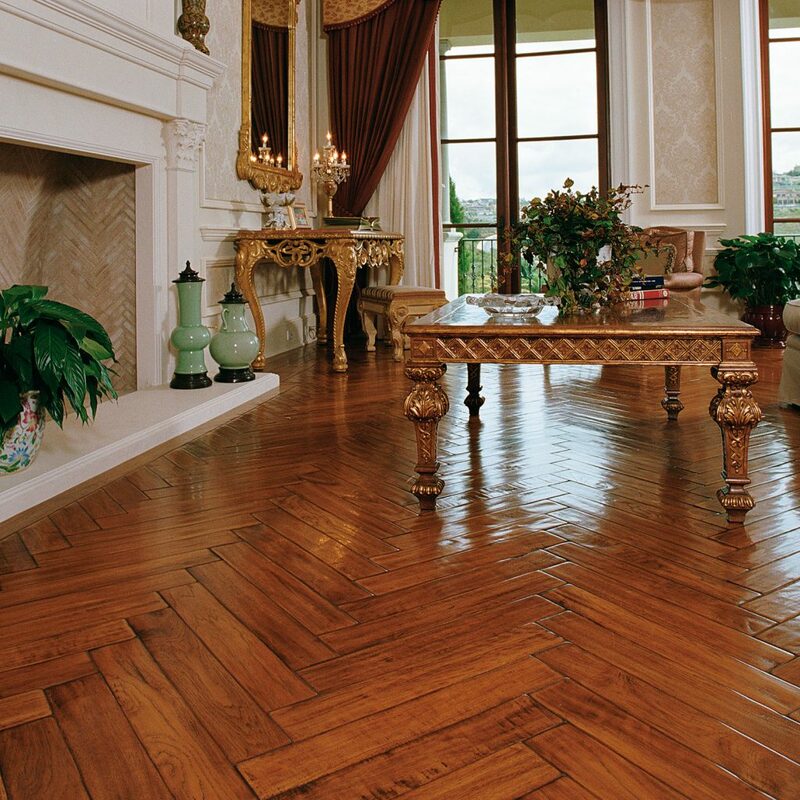 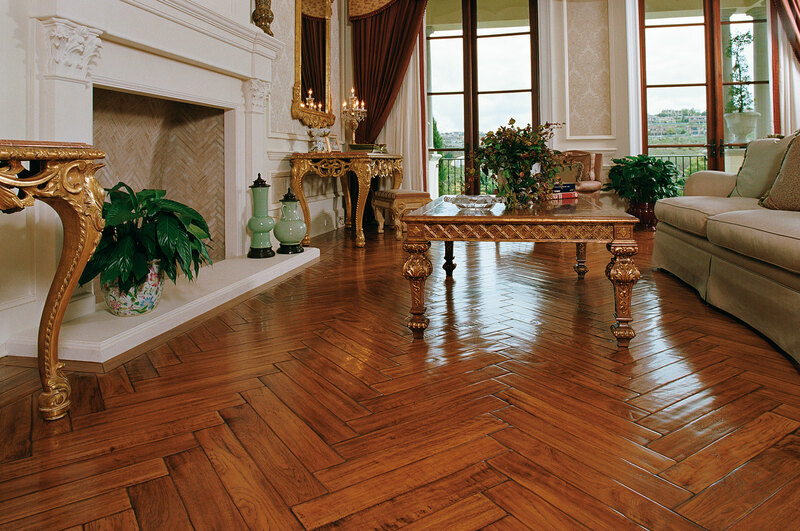 Moulding, Millwork, and Hardwood materials by Saroyan Hardwoods.